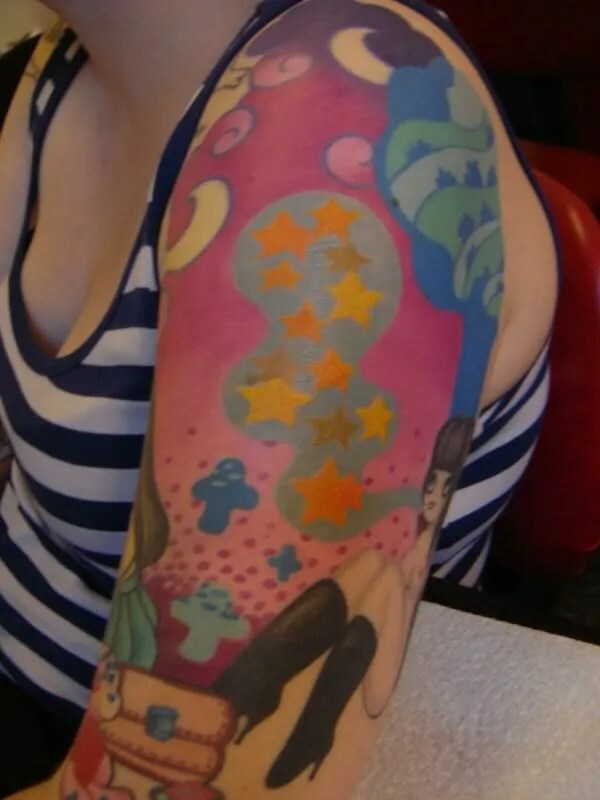 I think we’ve pretty much finished Coco’s backpiece. 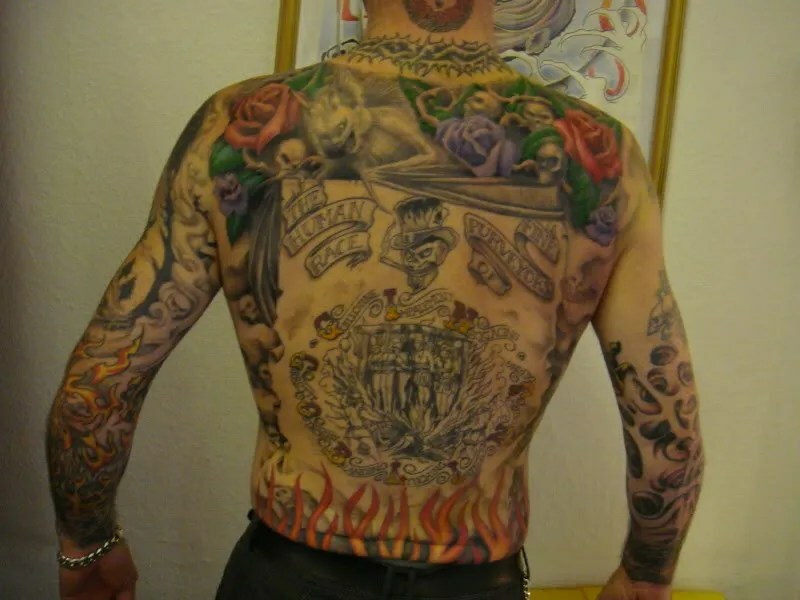 That begs the question, how to I get a portrait shot of someone wearing a backpiece? 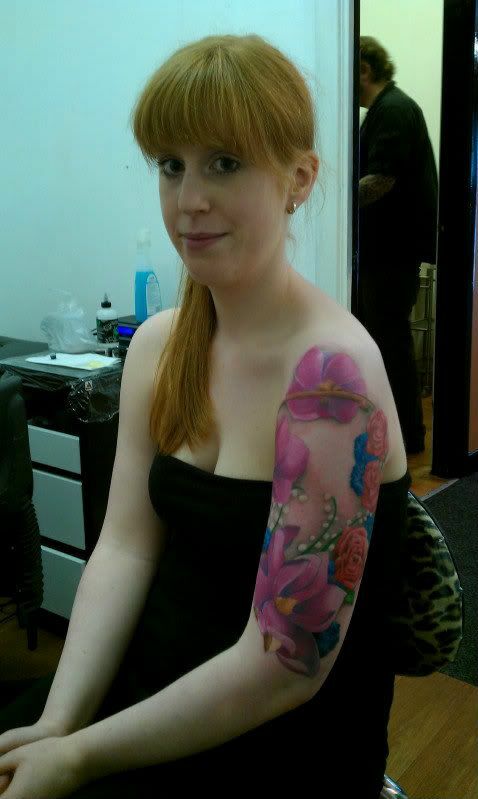 the next day in Glasgow I finished two pieces! 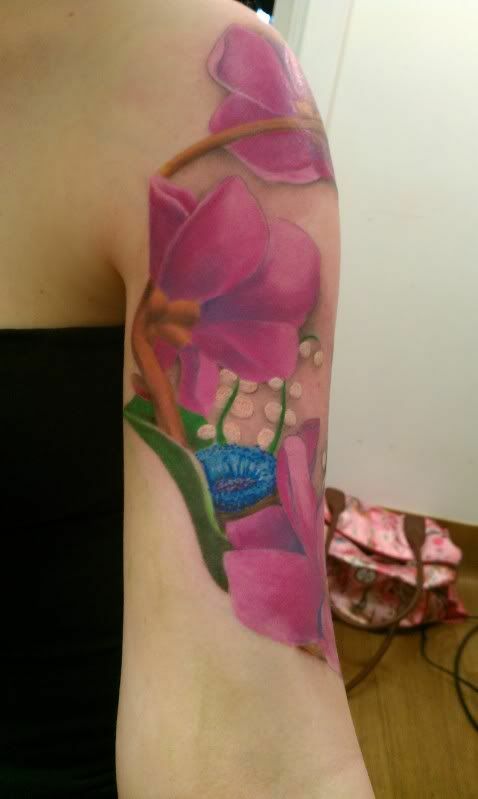 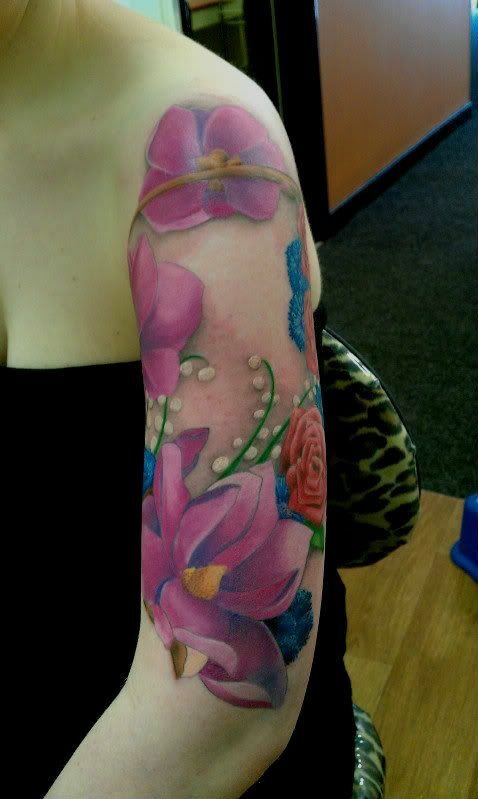 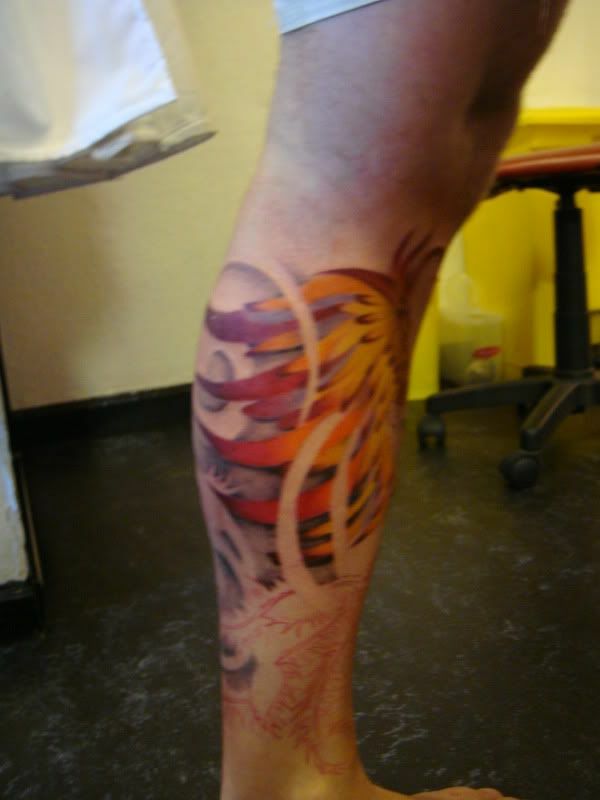 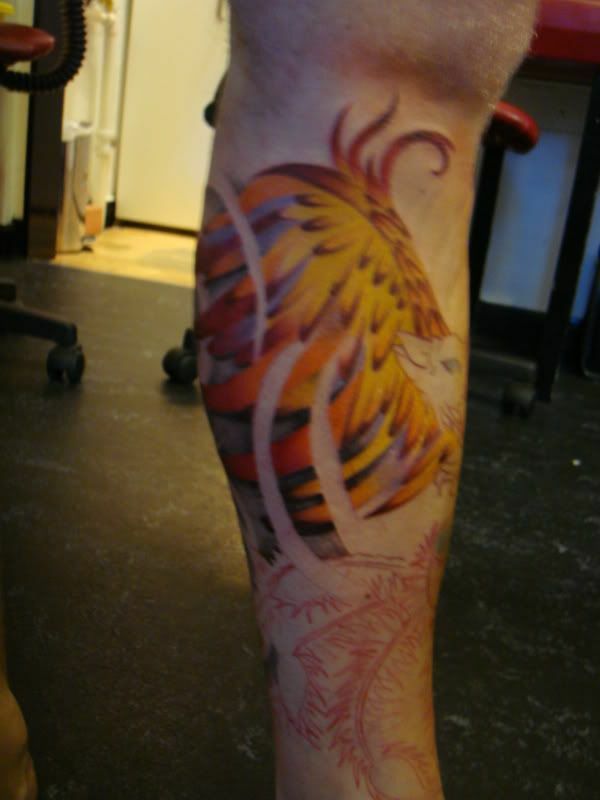 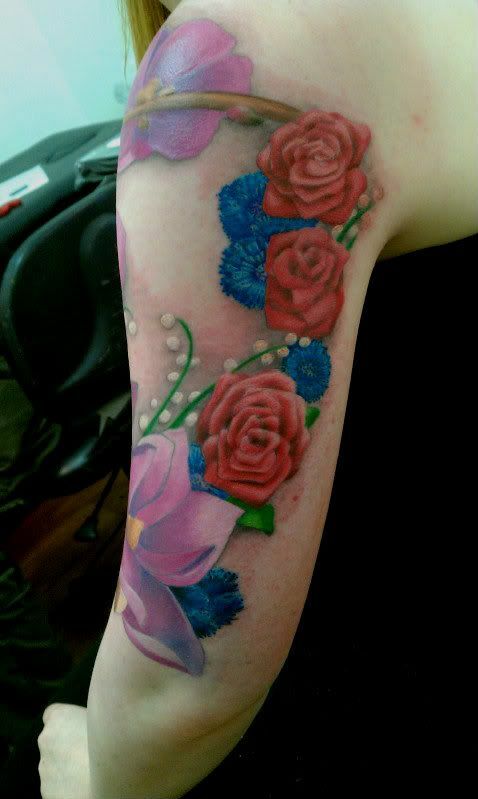 First was vanessa’s floral piece. 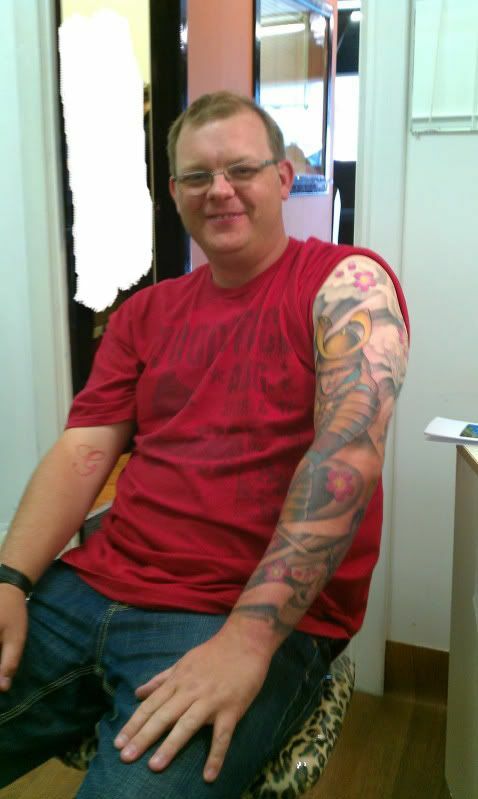 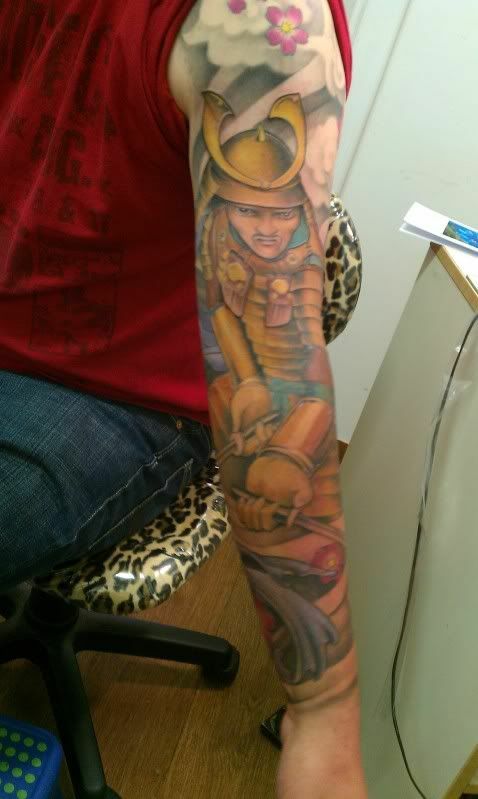 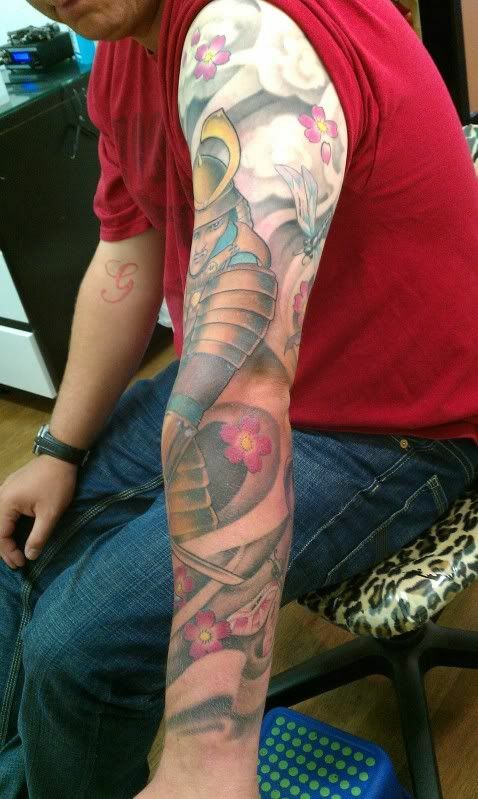 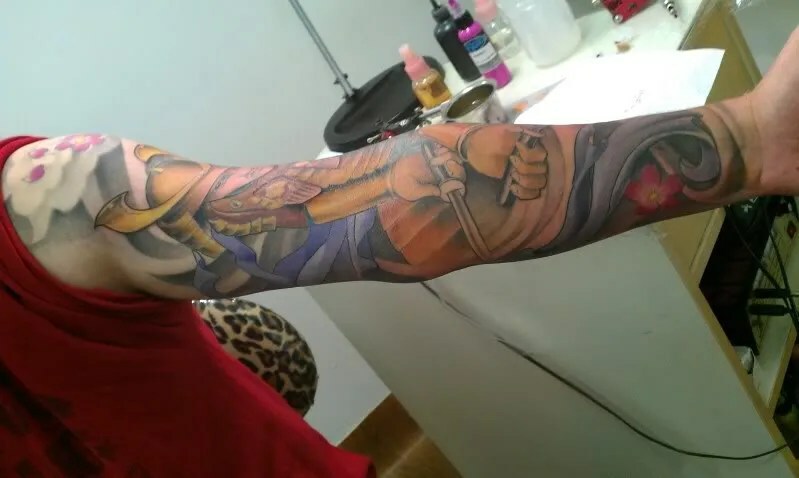 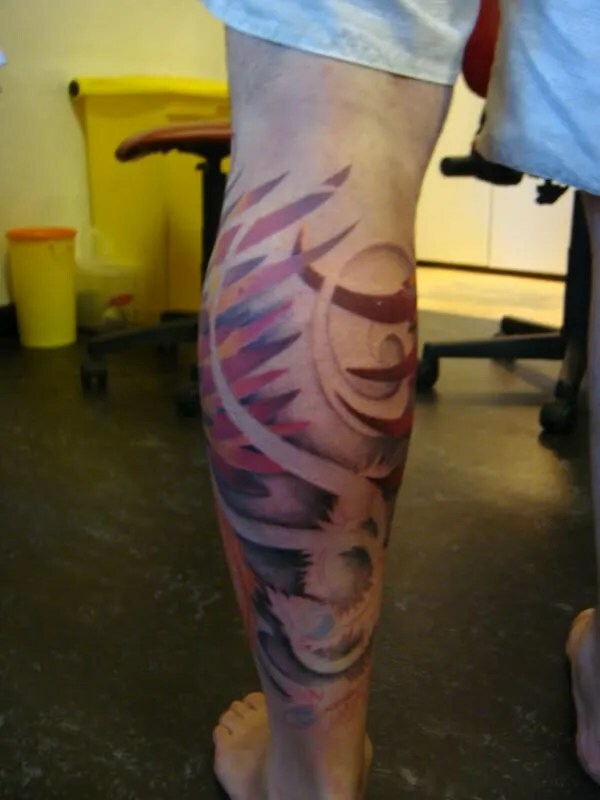 And Davie’s samurai sleeve is pretty much done. 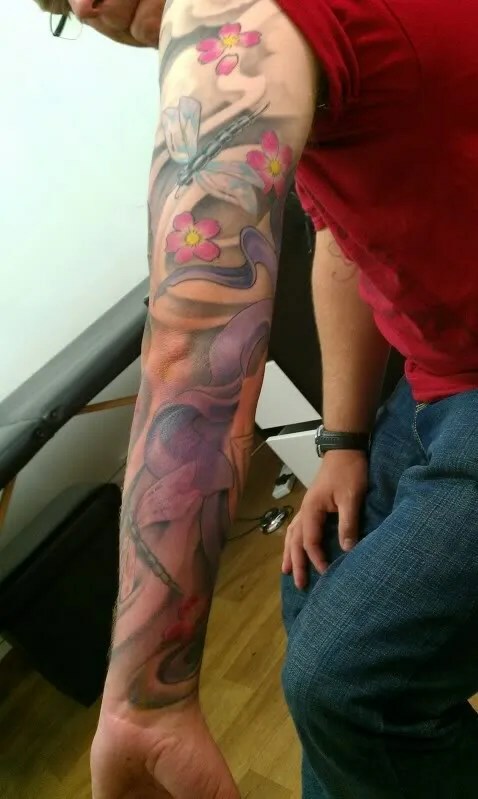 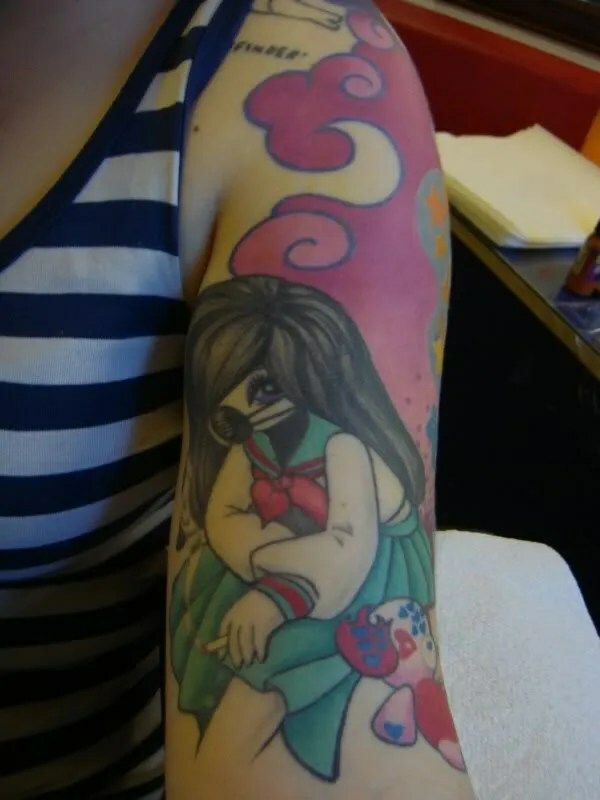 The only thing left to to is touching up a couple of spots where the scab was torn off by the looks of it, this can happen, but it’s best not to try and tattoo over bits like that too soon, or you run the risk of scarring.